Just a quick note to you both to say thank you so much for catering for my 60th birthday last week (28th Dec)… you guys are awesome!! 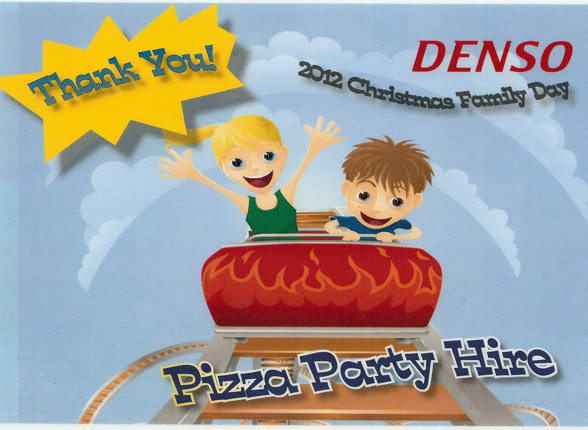 I continually got nothing but compliments all night about how good the pizzas were, and the service… Ashley made sure that everyone had plenty and could not have been more pleasant and helpful… she did an amazing job! I just wanted to say thank you from all of us at Australasian Hail Network. We thoroughly enjoyed the meal that you provided for us at our party on Saturday night. There were compliments galore from everyone that attended and the food was amazing. Thank you so much for catering for my son’s 1st birthday party last Sunday. Your company was terrific. People absolutely loved the pizzas and thought it was great especially the grazing table. I absolutely loved that your service was beautiful – people came away full but still wanted more at the end. You managed to make what could have been potentially stressful – ie. catering a breeze. Once again thank you for your service, it was amazing. Just a quick note to say thank you for coming to our Welcome Picnic at Galilee and serving our many hungry families. We really appreciate your attendance, professionalism and smiling faces. Looking forward to having you back later in the year. I just want to extend my gratitude for a great job at our engagement party over the weekend. The food was delicious and there was plenty to go around. The barbecue chicken was my personal favourite. The sliders were terrific as well. The stress of organising a large party can always get too much, but I didn’t have to worry about anything in regards to your service. All night I got feedback saying how good the food was, and we couldn’t be happier with the service you and your waiters put on that evening. Everyone got fed and I would highly recommend you and your team to anyone! I just wanted to say thank you for Saturday night. You were all incredible and the food was delicious!! I am absolutely blown away by how helpful and friendly you all were and I’m so grateful you were able to fit us in. I just wanted to say a massive thank you for catering for my surprise wedding on the 8th of April. You were amazing to deal with and everything on the night was perfect. Everyone said how great the pizzas taste too. Thank you for the service you have provided. You were right – Kellie and Melissa were great and many of our friends commented very positively on the quality of the pizzas your team made and served. I enjoyed meeting them and will happily recommend your business to others. Thank you for the fantastic job you did providing gourmet nibbles for our son’s 21st birthday. So many people commented on how delicious it was and the girls served beautifully. Your organisation and professionalism allowed us to enjoy the night and concentrate on our guests. Thanks so much for contributing to a great night. Would just like to say how fantastic the pizza’s were yesterday at our son’s 1st birthday party. Everyone that came said how great they were and they were thoroughly enjoyed by all. Would also like to say a massive thank you to Kaitlyn she did an outstanding job. Thanks so much, would love to use you again in the future. Thank you so much for catering for our 21st Party. This was the best idea I have ever had. 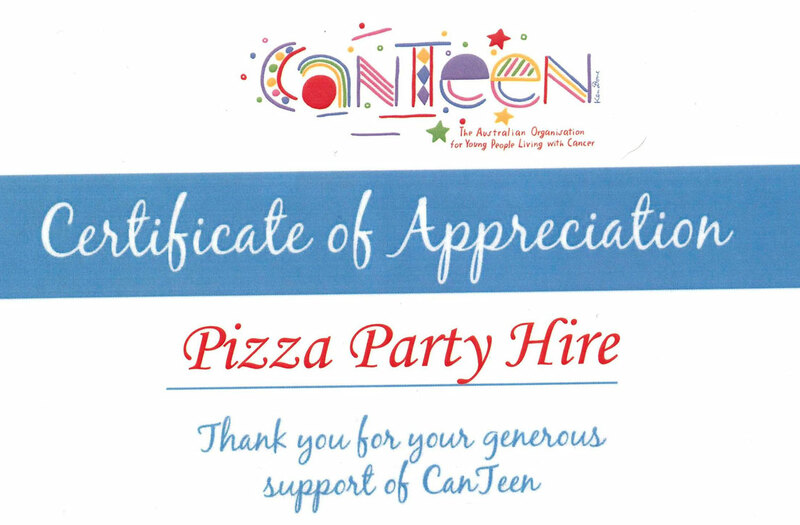 It made for an absolutely stress free party, the oven arrived on time, did their cooking and serving, everyone was raving about how nice the pizzas were, gluten free people could choose what they wanted, nothing was too much trouble for the girls. I would highly recommend you to anyone that is having an event. thanks again, loved everything about it. Hi Mark, Thank you & Kellie for making hubbies 50th the most wonderful night, everyone was looking forward to the pizza’s and no one was disappointed! Not even a massive storm could dampen the mood. The variety on offer was plentiful and with gluten free and vegetarian options available, everyone was catered for, even my very fussy mother was impressed. Just wanted to say thank you for such awesome service and yummy pizzas on Saturday night. You were great, it was so hot and you were so professional and everyone said how nice the pizzas were. I loved what I had especially the spicy one, couple of light weights had to get drinks after! I would not hesitate in recommending your service to anyone. Could not speak highly enough of Paula and your waitress Alicia. Everyone raved about the pizzas! Well if you ever want something different at your party or event, then this is it. I had this company attend at my party last night 23/08/2014. They were on time and setting up took no time at all, probably ten minutes at most before they started making the pizzas. They have an enormous array to choose from. The menu starts from the basic pizza to gourmet. I chose the basic range and they were many and varied. Service was by the owners daughter , sorry I forgot your name. She was extremely pleasant when considering this was a 30th birthday and people were suitably imbibed at the time. The owner, Mark, is a very pleasant person to deal and speak with and I had a good conversation with him. All the people at the party really enjoyed the pizzas and they were brought to us at good intervals in time. I dealt with Mark initially via email and he or his wife were prompt in replies so nothing was a problem. They also have many other deals to chose from which I suggest you look at. They are very busy so an early booking would be preferable if you decide to have them. Would I employ/hire them again you” betcha” I would they are worth it. Costs are in their brochure so go to their website and have a look. Once again thank you very much for your attendance at our place of residence last night. Your pizzas were enjoyed by one and all. Your professionalism and presence was excellent. As I said last night I would have no hesitation in recommending you and your company. I just wanted to say how fantastic the event at our place was on Saturday night, thanks largely to the food! The pizzas were great, the feedback from all our friends and family was really positive, and I will be highly recommending you guys to anyone I speak to. While I didn’t get much pizza because I was never standing in one place long enough, everyone I spoke to said they had bordered on eating too much – but couldn’t help themselves because it was so good. The whole process from enquiry, to booking to the service on the night was stress free and, I think, very reasonably priced. Thanks again – and next time I’m hosting an event, I will be happy to use you again. Our night was great with your staff doing a fabulous job. Everyone loved the pizzas, they were a great hit so don’t change the recipe. Very good feedback from all age groups but so nice to have the younger generation say ‘best 21st food ever!’ so lots of good recommendations….best advertising!! !